The Kunekune pig, originally kept by Maoris in New Zealand, are friendly hairy pigs born in a variety of colours. It is the smallest domesticated breed of pig in the world, a firm favourite among pet pig owners, due to its placid friendly nature and love of human company. Small scale pig breeders enjoy its ease of management and ability to thrive on grass. To learn more about Kunekune pigs please see our articles page. 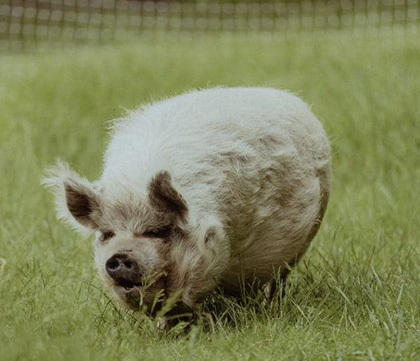 The British Kunekune Pig Society is run on a non-profit basis to further the interests of the pigs, the pedigree breed and of those who love to keep them. 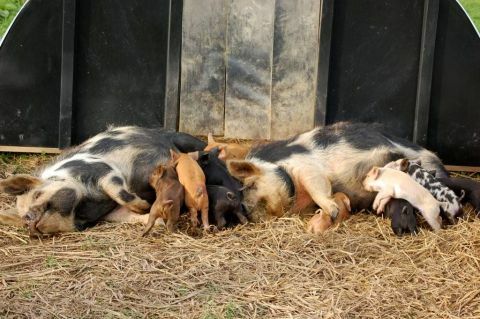 Membership of the BKKPS is open to anyone wherever you are in the world; if you are already a prospective owner, existing breeder, pet owner or if you are simply interested in learning more and helping kunekune pigs. Annual Membership fees are deliberately low to encourage prospective owners to tap into the Society's knowledge before making the commitment of owning pigs. You can join in a few simple steps online, or by post. Click here to join.